Breaking News About Ethiopian politics!!! : ቀጣዩ የኢሕአዴግ ዒላማ ማኅበረ ቅዱሳን ይኾን? ቀጣዩ የኢሕአዴግ ዒላማ ማኅበረ ቅዱሳን ይኾን? 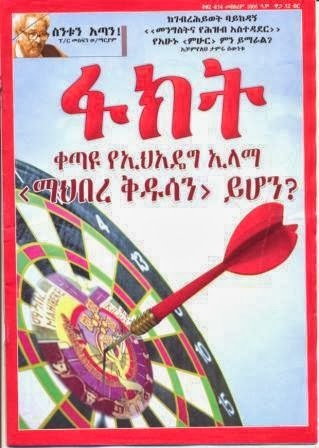 የህዋሃት ጀነራል መኮንኖች በሃብት ብዛት እየተመፃደቁ ነው!!! Call for a Peaceful Rally in Bergen, Norway!